Physical Characteristics – Perennial plant and member of figwort family. Stems reach 20 – 60 cm in height and covered sparsely with linear leaves which grow from 5 – 7 cm in length. Flowers can be variety of colors and grow in spikes at heads of stems. Habitat – Prefer well-drained, open foothills. Also found in montane zones throughout Clearwater. Range – British Columbia and Alberta south to New Mexico. Reproduction – Blooms each year from June – September. Threats – Difficult to transplant successfully (don’t disturb wild plants). 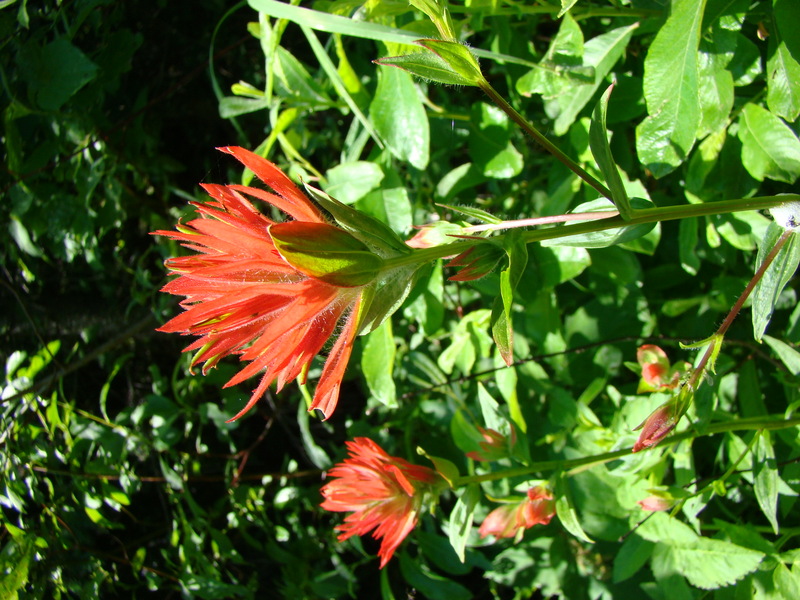 Miscellaneous – Some researchers believe hummingbirds and paintbrushes evolved together. 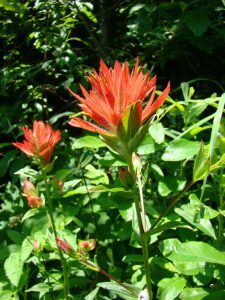 Hummingbirds are attracted to color red, have no sense of smell, and need large amounts of nectar – paintbrush have little to no scent and produce abundant nectar. Hummingbirds’ long bills are well fitted to plant’s flowers.